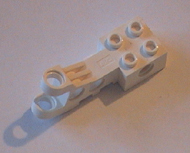 B. Lego Technic Parts, beams E. H. O. R. U. X. LV. LX. 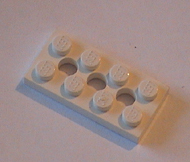 LT.
C. Lego plates / flats, red, blue, white, yellow, green, white, grey G. J. K. W. Q. LL. LE. LN. T.
L. Misc. Coloured Bricks & Flats; Brown, Cream, Pink, Beige, Curry, Buff, Tan LM. LH. LA. LB. LC. M. Minifigure Accessories- Hair, headwear BEA. BEB. BEC. BED. BEE. BEF. BEG. BEH. BEJ. BEK. N. Lego Bricks, black, red, yellow, grey, blue, white D. P. I. S. F. V. BK. LR. LS. LQ. BP. BQ. #D.
Z. Gears / Cogs, Pulley Wheels, Axles / shafts / rods, Wheels, string, tyres and hubs. AB. A. BD. AD. Connectors, Bushes, tracks, chains, rubber bands CA. AA. AG. Engine Parts, Motors, Electrical, lights, switches, sensors, cables, pull-back motors, sirens. AJ. Star Wars Theme AJ2, AJ3, AJ4, AJ5, RX. AM. Lego Toy Story, Atlantis, Ninjago, Spongebob BM2. XA. BJ. AP. Vehicle Parts, plane, helicopter, aircraft, aeroplane parts AQ. AQA. AQB. AQC. AQD. AQE. AQG. AR. Minifigures pg1, Mars Mission, Fabuland, Jack Stone, Technic & Family ATA. ARA. CX. CY. DA. CVQ. AU. Train Parts, boats and ship, Sport/Football, Castle/building parts, AS. AH. AL. AV. 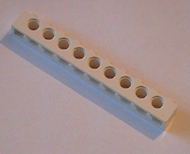 Lego base boards, thin, thick & 3D. Manuals, instructions, flyers, inserts . AV2. BF. AW. Parts with printed surfaces/decals AWA. AWB. CB. CC. CD. CE. CEA. CF. CG. CGA. CH. CHA. AX. Trees, Plants, Road Signs, Lamp post, vintage flags, clip signs AXD. AY. Doors, Windows, Shutters, Grilles, Fences, Gates, BC2. RR. RS. RQ. RR2. RT. RU. BA. 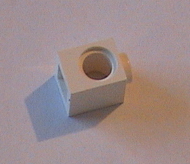 Clear / Translucent Lego, QA. QB. QC. QD. QE. QF. QG. BB. Misc. Lego, gates, fence panels, fridge magnets, BC. BC2. GVK. BCA. Structural, Girders, Beams, Supports, Stairs, Ladders, BCB. LK. Lego Animals, Birds & Dinosaurs, Minifigure capes / cloaks page. MA. VE. Antenna, Aerials, Fairings, Duplo, Satalite / radar dishes VJ. SA. SAA. VC. CV. Lego Power Miners, Lego Simpsons, Lego Fabuland, Legends of Chima CVA. CVB. CVP. BJE. Pirates of the Caribbean, Avengers, Lord of the Rings, Indiana Jones, BJH. BH2. BJ3. BJU. Lego Superheroes, Batman, Monster Fighters, Series, olympics, BJK. DC. KP. KN. Lego Knights Kingdom, Castle Fantasy Era, Pharaoh's Quest, CVG. CVM. Terms & Conditions, About Us and frequently asked questions. RA. 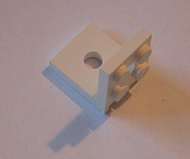 Lego Bionicle parts, Gold & Silver Lego parts page 1, RB. RC. RD. RE. RF. LF. ME. Complete Lego sets, buy Lego by the Kilo, Lego spares packs SS. ST.
Spareblocks News, Leave or read feedback / comments, completed projects.